Tessa reached out to me after she fell in love with the images from her cousin’s wedding (here). I knew her photos were going to be filled with so much joy because she was beaming as she shared her and Caleb’s love story with me. Caleb & Tessa met in Manhattan. Caleb asked her to dance and told her he was moving to Florida for work. She shrugged it off thinking, “You’re just asking me to dance” but by the end of the night, something was there that both of them couldn’t explain. Caleb currently lives in Minnesota so he drove 10 hours to meet up with Tessa in McPherson before they drove 90 minutes to the magical gardens at Bartlett Arboretum. 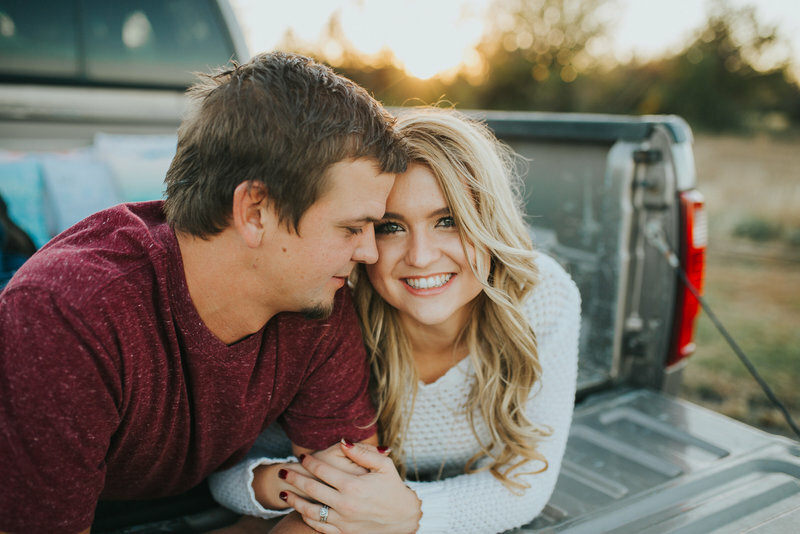 They will be tying the knot this October at St Joseph’s Catholic Church and if their engagement session was an indicator of how beautiful their wedding will be, it’s truly going to be a wonderful celebration. This one makes my heart skip a beat. So gorgeous! Her dress complimented the stunning flowering trees so perfectly! And if you thought that garden was gorgeous, look at all of these beautiful tulips! I can’t get over how beautiful her ring is!